The flea market flip of the week is a SUPER exciting one this week! 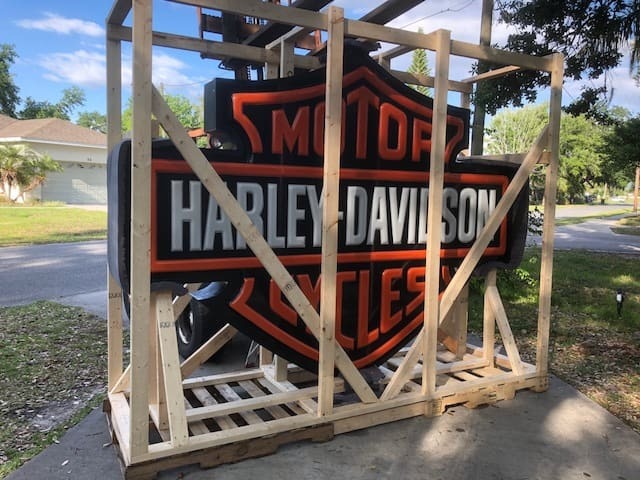 If you follow us on Facebook, you might have seen that we picked up not one, but three Harley-Davidson signs last month. 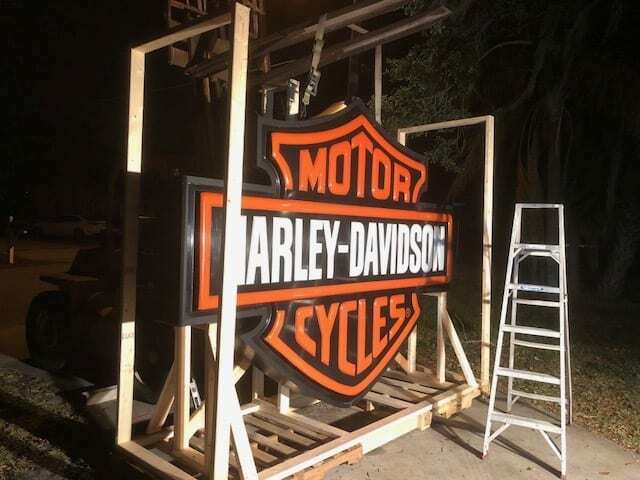 And when I say signs, I don't mean a little sign that would fit in a game room. I'm talking a large HUGE sign that would fit on the side of a warehouse. This one pictured is the largest of the three that we purchased. The other two are smaller by about 2-3 feet on height and width. 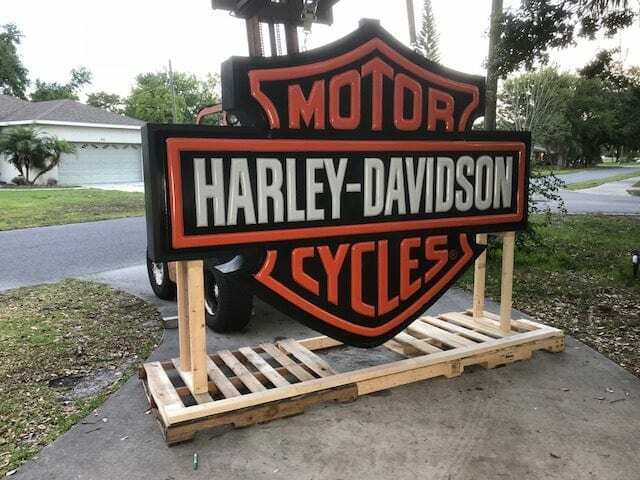 We sold one of the signs this week for $7,500! So stoked about this flip because: 1. 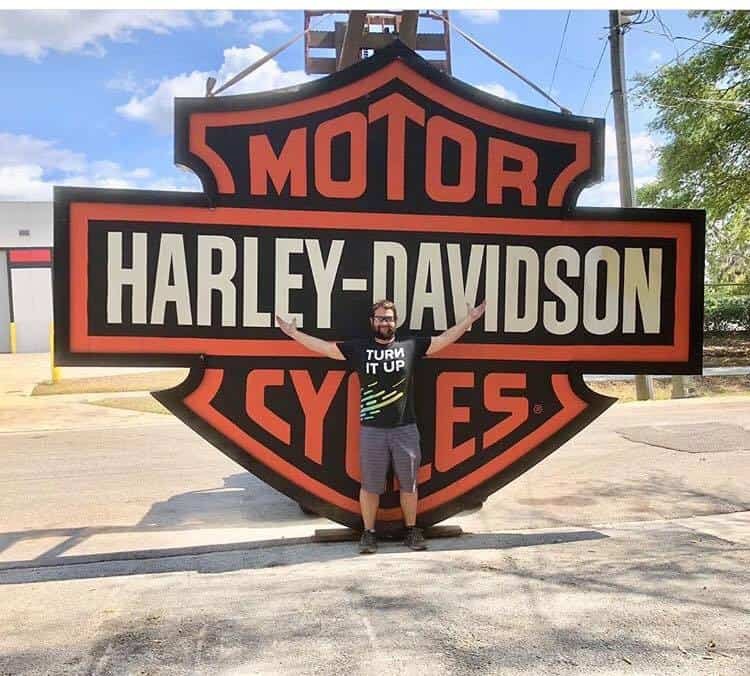 I like Harley's, 2. I like to find unique undervalued items and match them with someone who is looking for it, and 3. I LOVE making a good profit! This was a fun one to sell, but to be honest I wasn't 100% sure at first how I was going to ship it. Shipping large items is something we do on a regular basis, but most things are not this tall. We thought about loading up our truck and trailer and delivering it ourselves, but that would have been three 12-hour days in the car for the kids each way, so we decided against it. 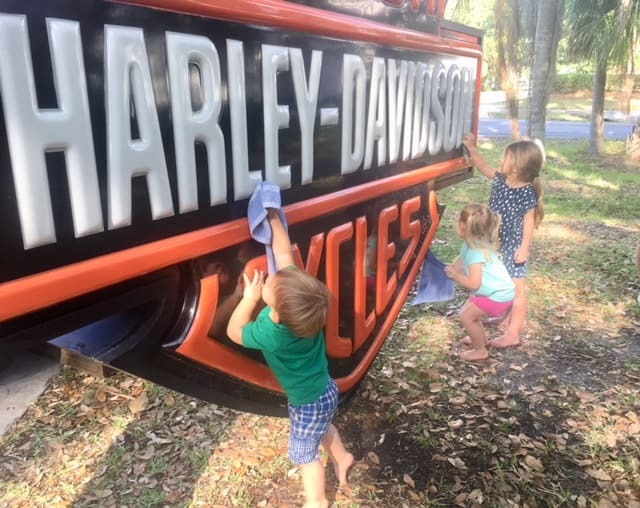 Our kids are actually great travelers now, but we have a lot of things we are working on, and didn't want to take the extra time away at the moment. 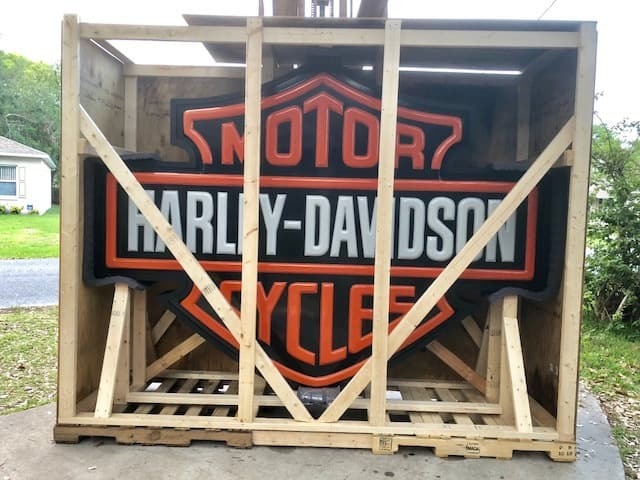 I thought the whole crating process would take about 2 hours… but it turned out to be a 2 day process. 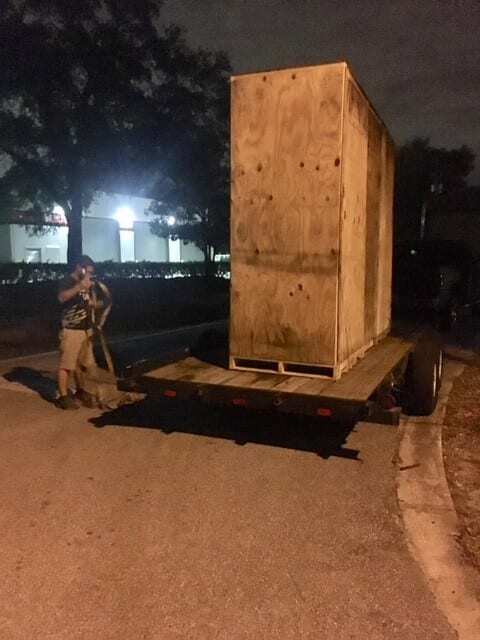 Once it was all clean it was time to build the crate. I built a long pallet by putting two pallets together, but left a gap for the bottom of the sign to fit in. As you can see, the daylight ran away from me and I have to build half of the crate by spotlight. 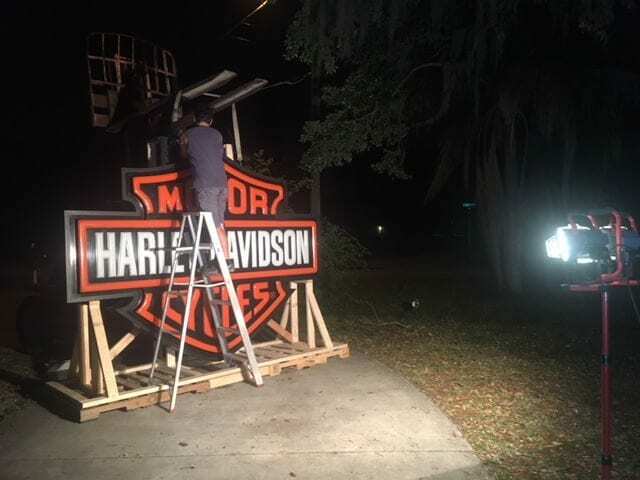 I used 2 x 4's to secure the sign in place, and to build the frame for where the sheets of plywood would go. Then it was time for the sheets of plywood. And again it was dark by the time the whole box was finished! Then it was off to the freight shipping hub. Phew! That one was a beast! Glad it's dropped off and on it's way to the new owner. 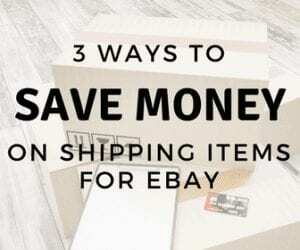 Shipping freight items has definitely helped us increase our profits over the past 2 years. 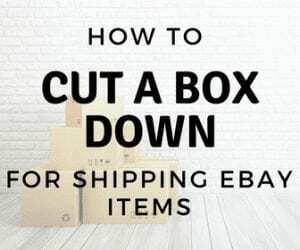 This box was a bit of a stretch even for us, but it proves you can sell and ship just about anything! 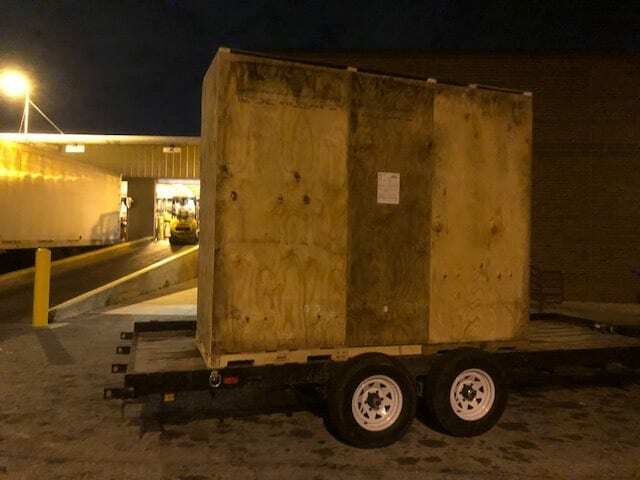 Check out a recent post on 5 steps to help you get started with freight shipping to help you dive into freight shipping a little more. 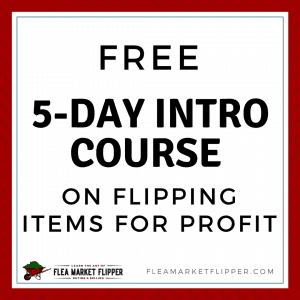 And if you are new want to get your feet wet with flipping, don't forget to check out our free 5-day e-mail intro course. 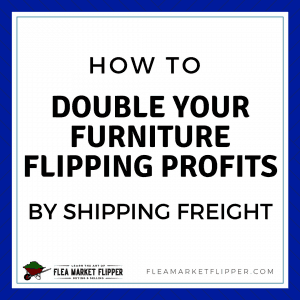 And if you are a furniture flipper – freight shipping could be your key to doubling your profits! 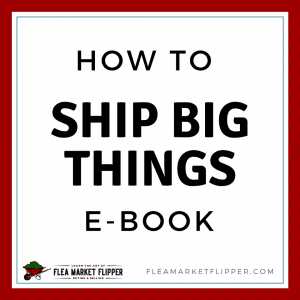 Check out the Furniture Flip and Ship Course we created for furniture flippers like you! wow very inspirational post you guys show freight shipping isn’t so scary and you can ship anything if you put your mind to it.